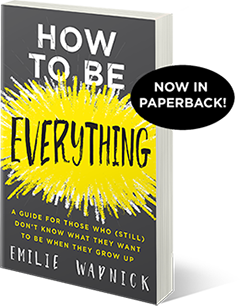 Note from Emilie: It’s time for another profile of someone truly amazing in the multipotentialite community. Leah Waig is someone I’ve seen grow tremendously in the last few years. She is one of the most creative, smart, helpful people I know, and I’m really excited to share her story with you. Thanks to Janet Brent for conducting this interview. Enjoy! 1. Tell us more about yourself. What’s your story? I was adopted from South Korea as a baby and raised in various states in the US. I’ve really been a multipod my whole life, but I didn’t know what one was until recently. Instead, I thought I was irresponsible, lazy, selfish, a flake… etc. This really contributed to bringing down my self-esteem, as you can imagine. 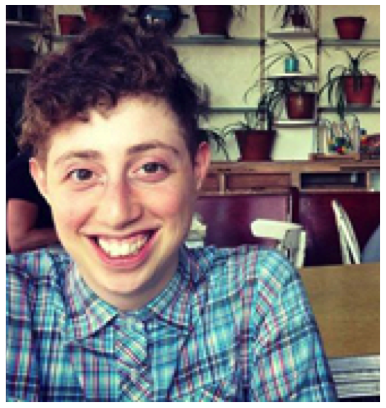 I was born with a birth defect, Klippel-Feil (basically meaning that, in my case, I have only one vertebra in my neck), and because of that I have a limited range of movement in my left arm. I developed scoliosis in my teens and, while it’s not bad, it does cause me trouble with pain and movement sometimes. I’ve also been diagnosed with depression and anxiety. All this to say that despite these things, which others would view as limiting and difficult to deal with (and they have been, yes), I’ve managed to grow as a person thanks to the support of my family, friends, and the Puttytribe. I heard once that “disability is a mind-set” (from Tony Melendez, a musician born without arms who plays guitar with his feet) and I think that’s true in that limitations do exist, but it’s up to you as to what you do or think despite your limitations. I don’t know how, but someday I hope to inspire and encourage other young people going through their own difficulties to realize their own potential, their worth as human beings, and to not be afraid to reach out and be kind to others. 2. 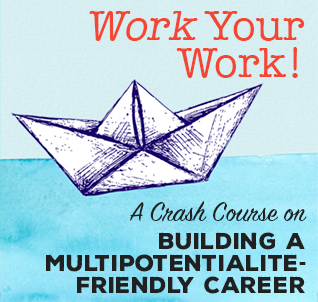 What makes you a multipotentialite and what various interests are you involved in? I kind of see myself as being a creative/technical multipod. I’m interested in art, crafts like crocheting and tatting (with thread, not ink! ), writing (creative and non-creative), and music (I love practicing singing and I’m gradually teaching myself guitar). I’ve also acted and recruited a composer/arranger and a singer via an online forum to help me with a song I wrote. I’m into anime and video games and I’ve coded a very short visual novel game using Ren’Py. I’m increasingly finding myself interested in math and science, which are subjects that I absolutely LOATHED in school because I didn’t see myself as being good at them. Right now, I’m interested in learning another language, probably Korean, as someday I’d like to be able to find my birth family. The other options are Japanese (because of my love of Anime and Manga and such) and Chinese (because my adoptive sister and her family live in China). 3. What are you currently creating? What keeps you up at night? Right now, I’m working on a blog and an Etsy shop. I am doing my best to cut down on overwhelm and my tendency to need to have everything about my projects be “perfect” (news flash: it never is “good enough”) by viewing them as not monumental, world-shattering projects, but as chances to learn, grow, and hopefully help others through my experiences on my way to learn how to grow my own online business. Later on, I hope to have a YouTube channel because I enjoy being in front of people, performing in some fashion, while at the same time not having it all be about me. I was in a play in college, for instance, and I love to practice singing and going to karaoke nights! 3. 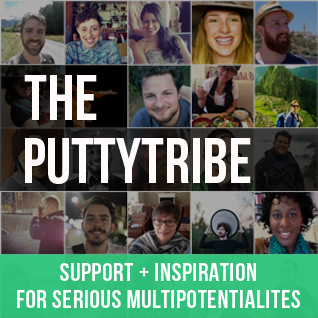 How has the Puttytribe helped you with your life and the projects you’re creating? The Puttytribe has been extremely beneficial to me not just as a multipod also but as a person in general. I go to a regular huddle – the Morning Biz Huddle – and the folks in there have told me that they’ve really seen me grow in my confidence and my willingness to try new things, even if those things are small. Before the Puttytribe, I felt really alone in my desire to improve myself, to flourish as a creative, to start a business/meaningful project somehow, and of course in my multipod-ism. I am the type of person who’s extremely hard on herself. I beat myself up for things I perceive to be failures or not good enough. In the past, this made me really anxious and I would go at things half-heartedly because I was actually expecting to fail and telling myself I deserved to fail. It was bad. I don’t think I’m exaggerating when I say the people in the Puttytribe have changed my life by being so open, non-judgmental, and willing to deal out the hard questions in the name of truly caring about helping me grow as a puttypeep and a person. If you are in the Puttytribe, has you confidence grown since joining? 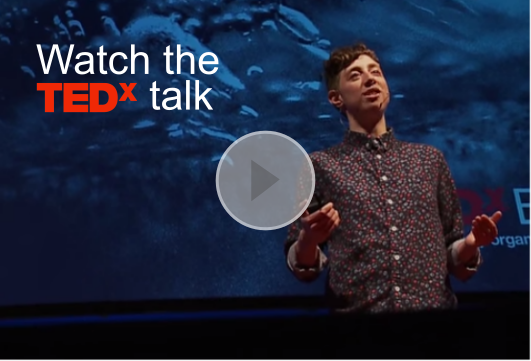 If you’re not, how has your multipotentiality affected your confidence? The Puttytribe doors are opening tomorrow, Tuesday June 10 but they will only remain open for 24 hours. Learn more about becoming a puttypeep here.